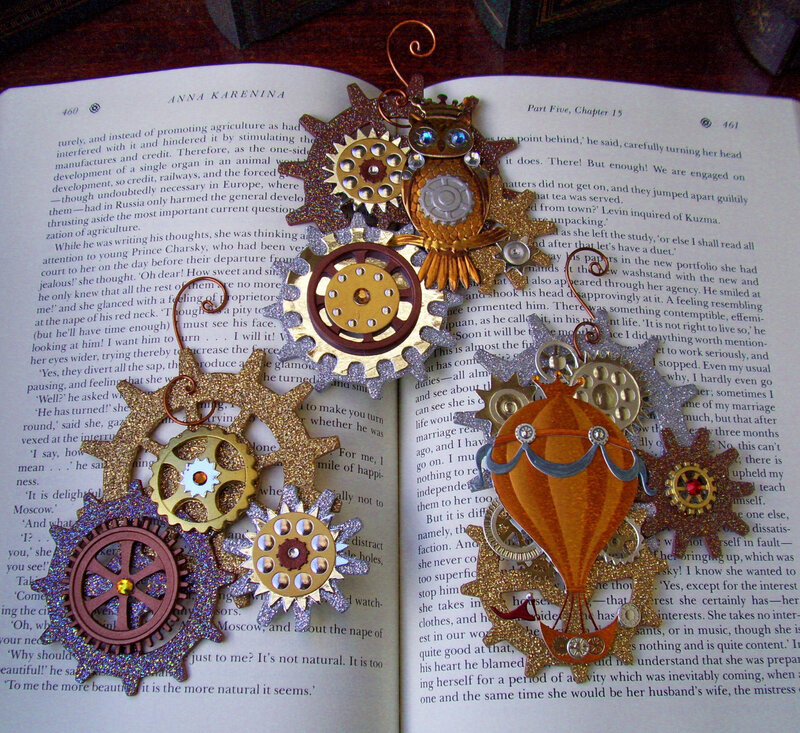 To wile away my craft-deficient hours on the book tour, I spent a lot of time researching and brainstorming all the ways one might steampunk out some holiday ornaments. There's not a whole lot out there by way of inspiration, but I've put together the best of what I did find. 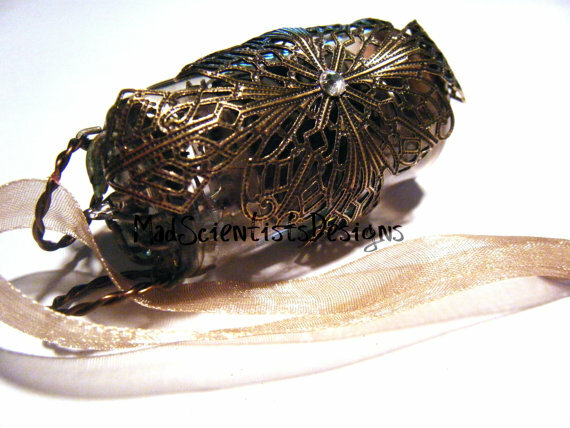 Next, a filigree wrapped vacuum tube! I think I actually swooned over that orange hot air balloon. DO WANT. 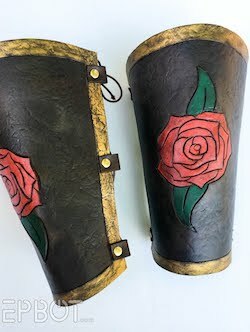 They're also made of leather, which means they have a good side and rougher, "bad" side. 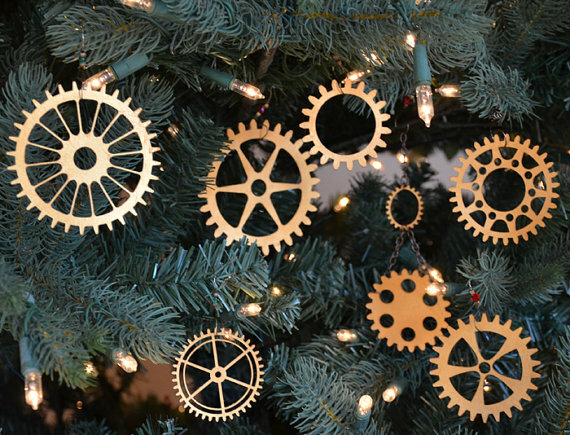 Frankly, I'm amazed no one out there is manufacturing large brass gear ornaments! I thought steampunk had gone mainstream enough to warrant it, but sadly, that doesn't seem to be the case. Maybe next year? Of course, since we're not willing to wait, John and I are in the process of making our own gear ornaments. More on that in my next ornament post, though. Moving on, I managed to find these beauties by way of Hawksmoor's Bazaar, which has a lovely post on all kinds of holiday steampunkery. 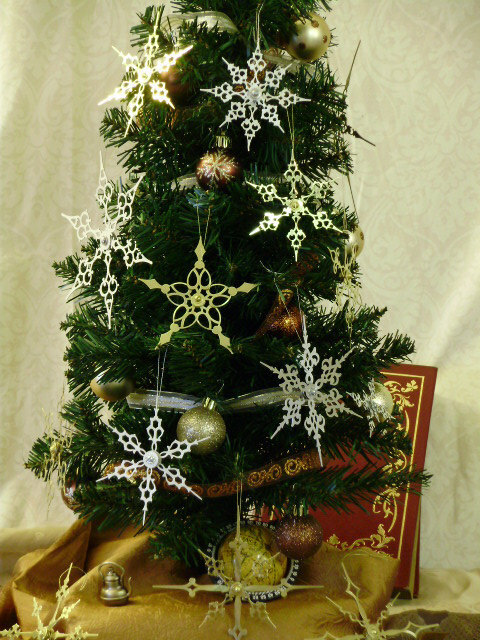 Those snowflakes are each made with clock hands. Aren't they gorgeous? They're available in white, brass, and black, and - the best part - are only $5 each over at Antickquities. I love how it's an oh-so-subtle steampunk touch - and also how each design is different! 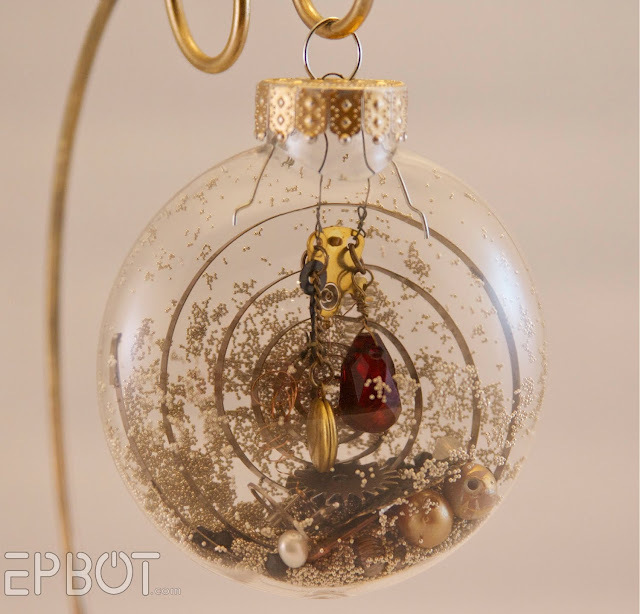 This is a clear craft ornament filled with a clock spring, gems, a tiny locket, gears, beads, and even a smashed penny or two. The tiny silver beads clinging to the "glass" (it's actually plastic) roll around like a snowglobe, revealing all the treasures inside as you turn it. This is the handiwork of readers Heather & Elizabeth. Thanks again, ladies! 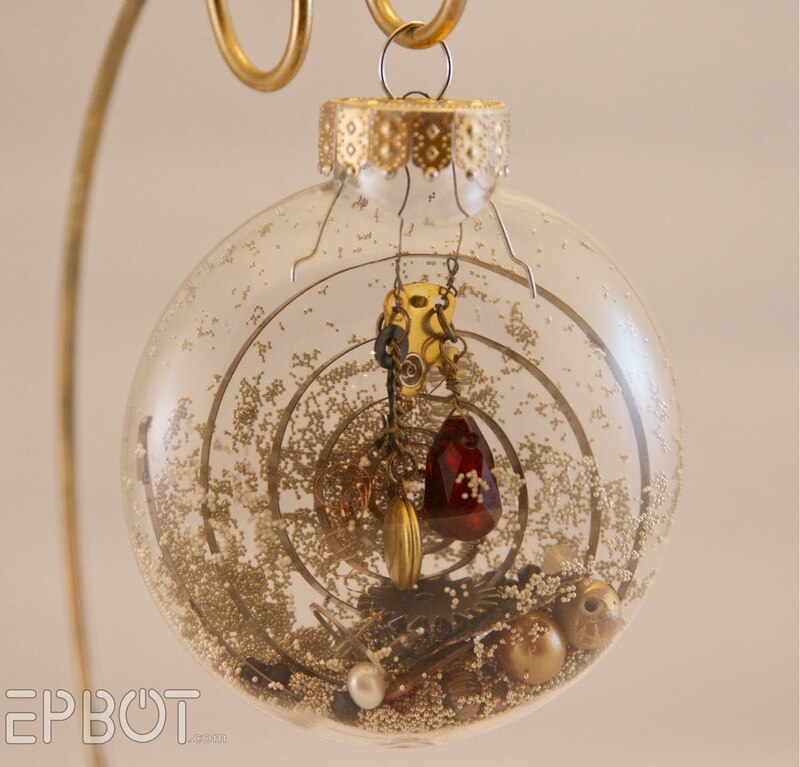 Oh, and the ornament isn't a traditional ball; it's flattened and relatively thin, as you can kind of see from the second photo. I'd love to find some myself for craft-ventures, but so far, no dice. Anyone know where I can buy them? Hit the pic to see the big version; the texture and detail is stunning. Every bit of it is hand made and designed. I have more ornaments to share with you, so stay tuned for all the bits and pieces John and I are modifying and making. 'Til then, though, here are a few lists I came up with on the tour to help me shop and search and craft to get my steampunk tree theme off the ground. I ended up using elements from all of the lists, but you can be as specialized as you like. 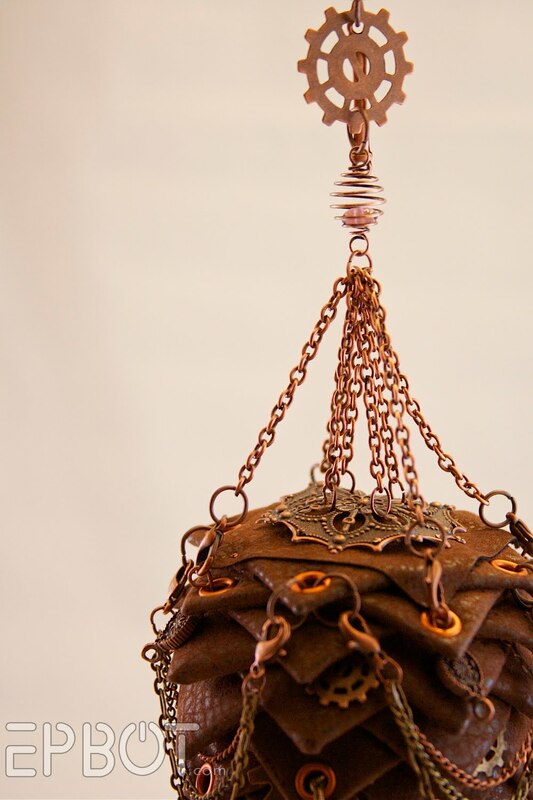 The most important thing to remember when decorating with a steampunk theme? It doesn't have to be all brown. Don't be afraid to use lots of rich color - the Victorians weren't! Besides, who wants a drab Christmas tree? Pour on brilliant jewel tones, and your home will be that much warmer for it - and I guarantee it will look just as steamy. 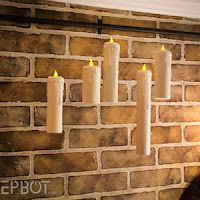 Can you can see these fitting in with a steampunk tree? Ok, I know it's a stretch, but I was totally willing to try. They're just so stinkin' cheerful, you know? So tell me, guys, what did I miss on my inspiration lists? Let me know in the comments! You can get those thin clear ornaments at Michael's. I don't know if they have plastic - I only saw glass ones last time I was there, but I wasn't really looking. I'd suggest gloves be incorporated somehow, and I love ornaments with dates on them (we get a picture frame ornament with the date every year), and having ornaments with parchment paper and calligraphy would add a beautiful texture. Those plastic flattened ornaments you can get at Michael's at least you can here in Cananda. I've bought empty glass ornaments like those at Hobby Lobby. Do they have those in Florida? I've seen the flattened clear ornaments at the Michael's here in Topeka. I nearly bought some myself for my kiddos' teacher gifts. 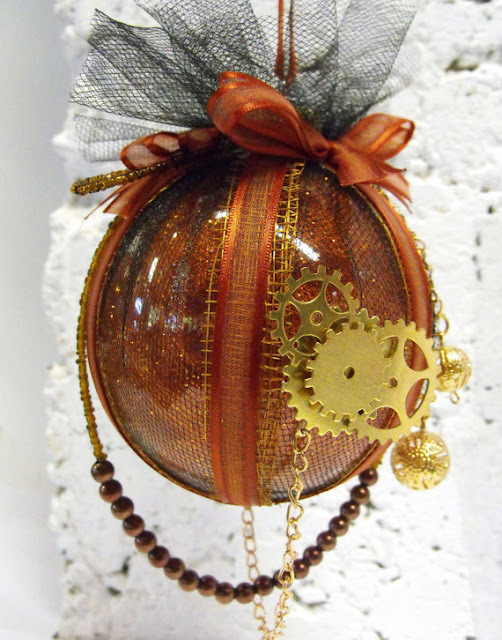 Can't wait to see your own steam punk ornament creations! Gorgeous! 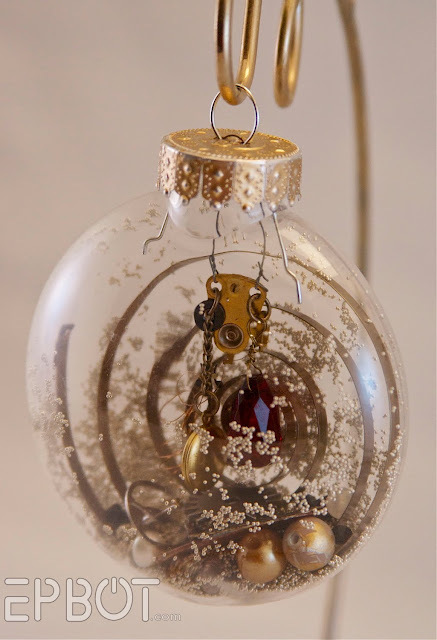 I LOVE the idea of steampunk ornaments. Would it be strange to drape my tree with guns? Ha! I found some of those flat, clear, plastic ornaments at Walmart (but I live in Canada so I'm not sure about their availability elsewhere). As others have said, the glass ornaments are available at Michael's. I used a Vitrea marker to write "Merry Christmas" and the date on one and cured the paint in the oven. Then I inserted a hand-tied fishing fly in it and gave it as a gift. I should have taken a picture (and I will when I get the chance). They are also available at Hobby Lobby. And I LOVE those glass hot-air balloon ornaments!!! They are colorful and so delicate looking! I'll have to try and find some of those! The Macy's windows in NYC have gone Steampunk this year. My favorite element is the use of gears as snowflakes. Ray guns can go on the inspiration list, too! Those clear plastic craft ornaments are available at Walmart! THe flattish ones, and larger and smaller round ones. All are .88 cents each here in Saskatchewan, Canada, in the craft department! *Wipes away drool* Ok those are some spectacular ornaments. On the gears...have you ever been to Silver Dollar City? They allow you to make hammered metal ornaments....I'm thinking that tin or copper if you can find decent sized/thickness sheets that aren't uber expensive would be easy to cut with a design of a cog/gear and then softly hammer for that great dented texture. I may have to see what I can come up with. Hey, there's apparently one left of that gear set! 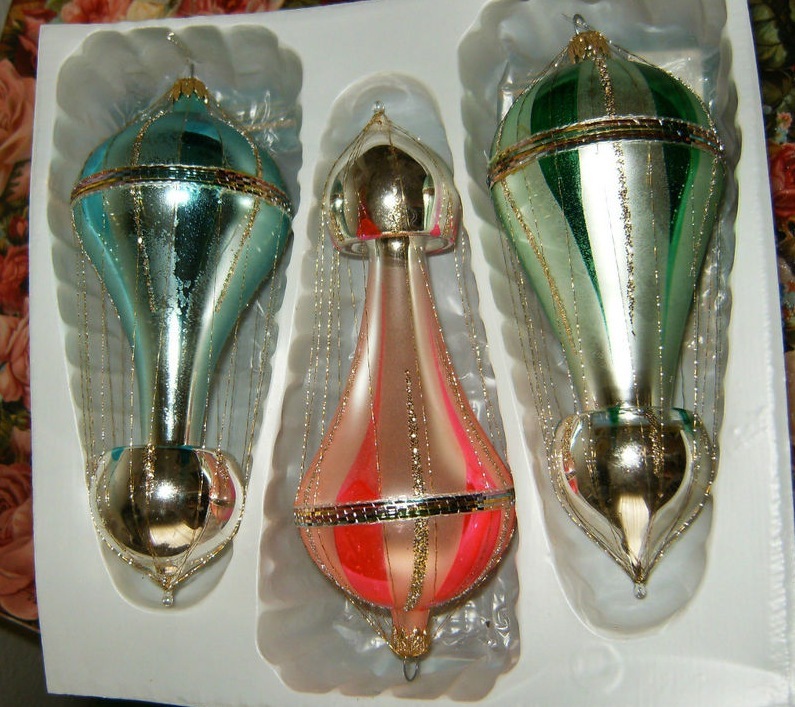 you show some beautiful and cool ornaments. Hm. Someone posted about gears as snowflakes and it made me think - what do gears do? They link together. Why not a gear garland? You missed air ships and lazer guns! If you're looking for more bits and bobs, including mini diver's helmets, large clock gears, frozen charlottes, and other nautical and steampunk items for your tree, you should try Frenzy Universe. I am IN LOVE with the first one you posted, and I think it could be duplicated. Also, Museum Replicas has started carrying Steampunk stuff, and it's inexpensive and good for those of us who can't sew! 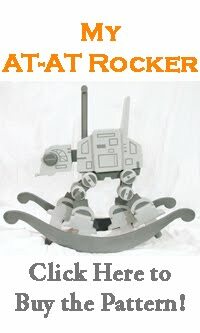 Found this on amazon a while ago think there was a snowman version too. In off the shelf steam punk, Hallmark has the Disney 20,000 Leagues Under the Sea Nautilus available as an ornament this year. Oh man, I can't tell you how many times I've done google searches for "steampunk ornament" and come up with zip, zilch, nada. I just love this!! Please show me everything you come across! those are all beautiful. I admire the craftiness in people.well done, indeed! We actually have a real pocket watch in our own Christmas tree. It doens't function properly, but it's a supercool ornament :) Also on the quest to find some gears. Or tree is up already, but we need way more ornaments! 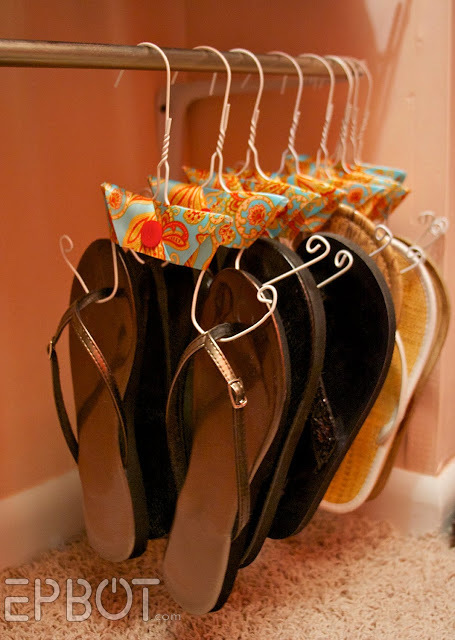 @April: Gear garland is a fabulous idea! 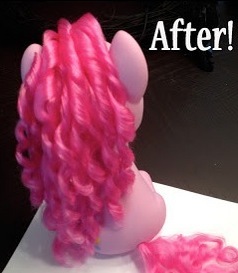 With velvet ribbon to hold it together? Mmmmmm. Jen! Those gear and hot air balloon ornaments you are drooling over are just Jolee's 3D sticker embellishments for scrapbooking with fancy hooks attached. You can make those super easy! They should carry them at your local JoAnn's, but I have seen them at Hobby Lobby multiple times! 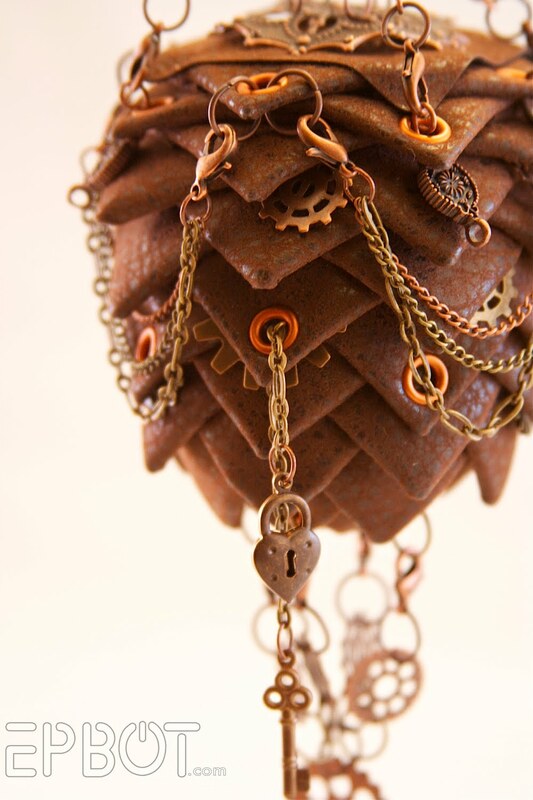 All those ornaments were beautiful and special, but...... the pine cone one! WOWSERS!!! Certainly the best, IMHO. 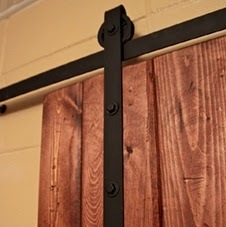 Not Christmas, but have you seen this Steampunk switchplate tute? I think the leather 'gears' are actually better, because they're, you know, cat proof. (The only glass ornaments we're able to put on are the ones I hate, and there aren't too many of those left now). 1) My pinecone ornament is on Epbot!!!!! (Swoon.) Do you know what this does to my geek cred? 2) I forgot to take a picture of it before I gave it to you. 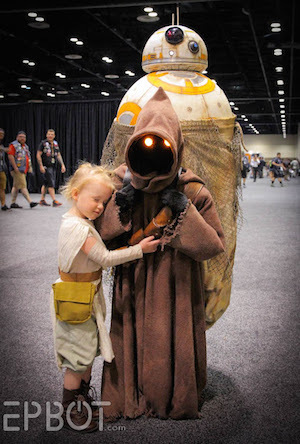 (Which effectively cancels out all that geek cred.) Doy. The pictures are wonderful. You're a much better photographer than I am. Thanks for showing off my first Steampunk attempt so beautifully. I saw this at Green Earth yesterday and thought of your Christmas theme! There are some really cute polymer clay ones ie gingerbread man and bell on deviantart.com here: http://mynameisjade.deviantart.com/art/Industrial-Ornaments-188034023 and more closeups at her etsy store. *Tree not bell. Just went to her Etsy site and saw description for polymer clay steampunk ornaments. 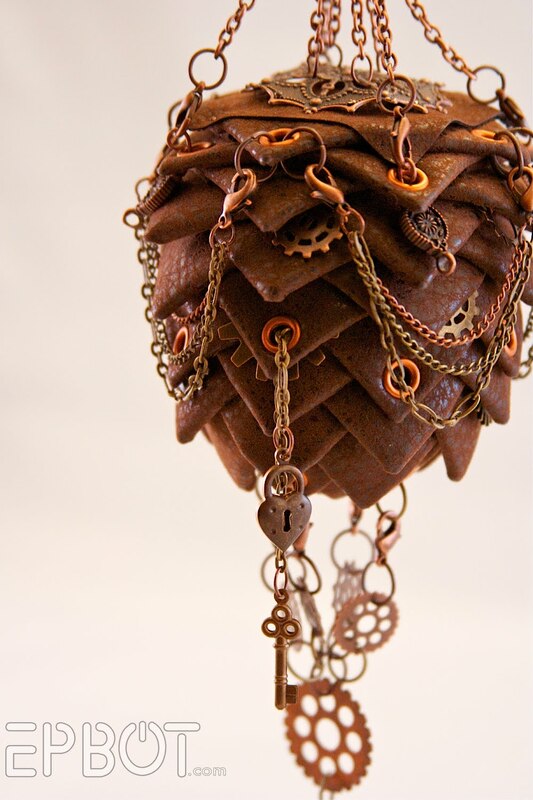 I've been thinking about a steampunk tree since you blogged about it last year. Then I recently scored some vintage velvet ribbon in kelly green from my grandma's basement, that I am dying to use for something cool and which got me thinking about steampunk ornaments again, so I did a little recon. Lots of stores have copper-colored glass balls this year, both shiny and matte, and jewel tones are in, too. Very easy to find deep purples, dark pinks, teals, etc. Also, you can buy strands of mini lights in all purple, all blue, all yellow, etc. In addition to all the wonderful ideas you posted, Michael's has some small unpainted jewelery boxes in the woodcraft section for $3 or so, that are only maybe 2.5 inches wide. With a little paint and maybe some leather strands from the jewelery dept, they'd totally look like miniature steamer trunks. 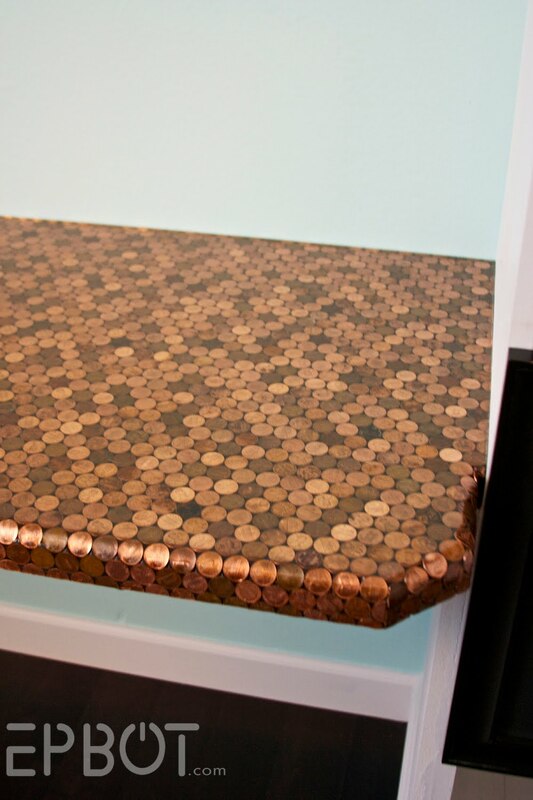 They even have little gold latches. Also, Michael's has little fake peacocks in the floral section. 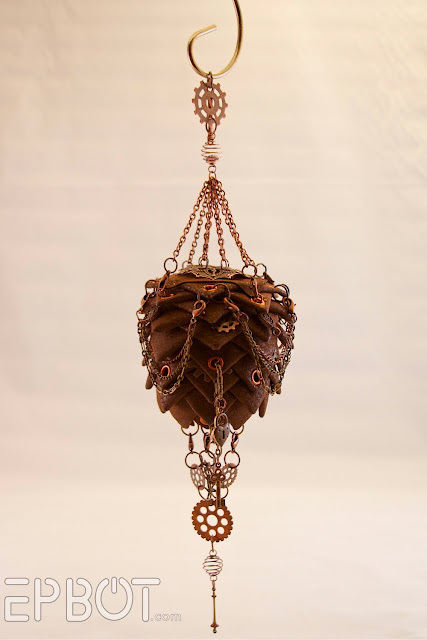 You can also find cool stuff like copper chandelier chains at home improvement stores like Home Depot, sold very inexpensively by the yard that would make killer garlands. And the key department at Home Depot sells gold skeleton keys in a pack of 2 for like $1.99. OMG, Frenzy Universe is awesome! Zeppelin and gear cookie cutters? Squee!!! Oh my goodness. I had no idea my ornaments had been mentioned here. I was checking my shop stats and wondering why I had such a huge explosion of ornament sales. 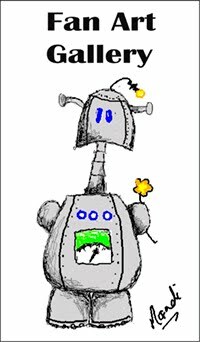 The stats tracked it back to "Epbot". 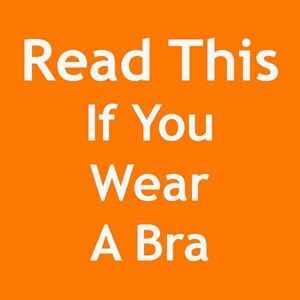 Of course I thought "I'm not reading that right. THAT Epbot? Really? No..." Then, BAM! IT WAS! You have no idea how honored I am. Thank you so so much. What about these balloons as ornaments? 8:) That's a smiley with my goggles pushed up on my forehead BTW. It's a shame his website only has teeny tiny photos; I want to know how he makes those solder lines on the glass. Sooo pretty! The ball shape isn't *quite* right, but perhaps if you did it with a more pointy type ornament? If you happen to have Garden Ridge or World Market in your area...GR has a huge selection of ornaments sorted by color--including jewel tones, bronze, silver, gold, copper. In each color they have quite a few styles that would fit a steampunk tree--chandelier-type armatures dripping with crystals, keys, glittery ostrich plumes, etc $1-$8). WM has nice quality pewter and brass keychains where the fob is an old fashioned key ($7 or so). Also, black wire armature ornaments in the shape of the Eiffel Tower and Big Ben (in their regular collection, not in cmas, $10). 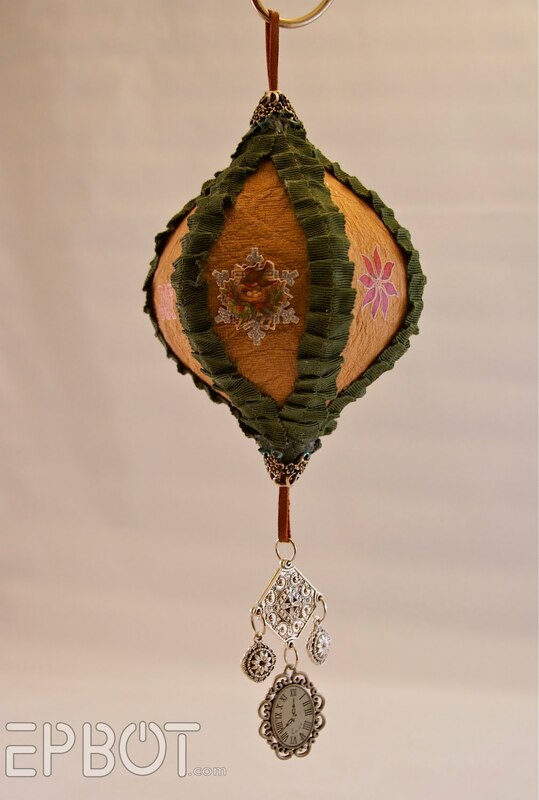 And finally, they have a large glass ornament pocket watch, with the watch detail on the front and a beaded 'engraving' on the back, hanging from a chain (in cmas ornaments, $10). WM's not the cheapest place, but if you sign up for their mailing list they send coupons pretty often, and they have good cmas sales on the 26th (for next year). @Jen, I bet those 'solder' lines were done with dimensional fabric paint with a fine tip applicator, or perhaps the faux stained glass 'lead' paint (Gallery Glass). That particular one is a custom item so it's more expensive but the other stuff in her store is $6-$12. She also sells the parts if you want to put together an ornament or tree topper yourself! I posted about an addition to the tree topper you have. If you look at the 2nd photo on this post with the orange balloon ornament, these three have the feel I was thinking about. If you make the seahorse metallic and add glitter to the 2nd (or even a 3rd) gear it will shine so nicely with the light below it. Of course when I search "clock spring craft" yours is the first page that comes up!